When Allison came home from her first date with Corey it seemed like there was something different in how she was talking about this new guy she met. And there was–they quickly became inseparable and it was apparent to everyone around them that they were IN LOVE!!! Corey treats Allison so sweetly and proposed with a ring. He is in the process of buying a house for them in Burien, so they will live close by which will be nice. 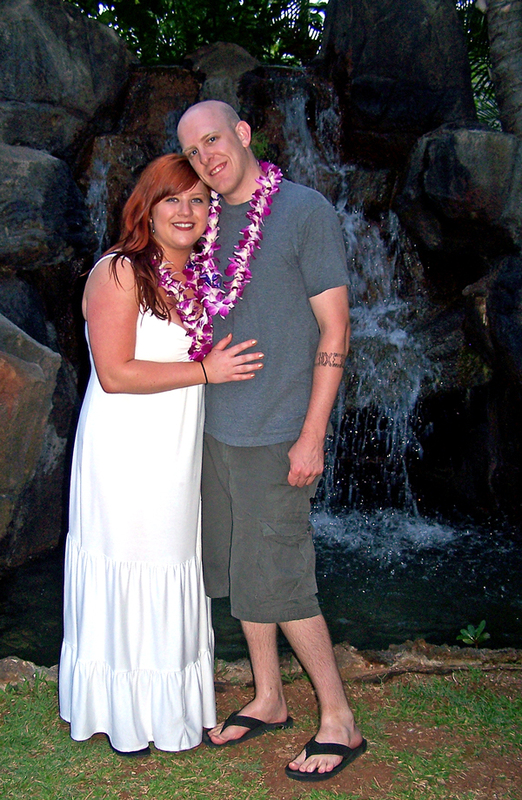 The picture above is from the Polynesian Cultural Center Luau on our family trip to Hawaii. The tatoo on his arm is from the exhibits! So no date is set yet, but I just wanted to share the good news. Wow!! Congratulations!!! What an exciting time – and they do look so happy together.